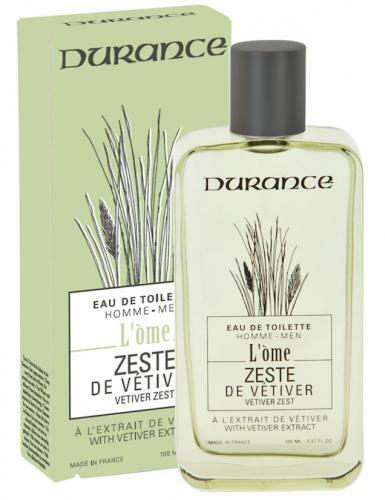 VETIVER ZEST EAU DE TOILETTE - The L'Ome range, taking the Provencal word for man, pays homage to Provence and its health-giving plants, creating a collection of masculine portraits. A masculine and elegant scent that contains the freshness of vetiver. Durance has its roots deeply set in its Provençal heritage. Durance is not only passionate about its Provençal origin and identity but also produces and packages all its products in their own workshops in Grignan, located in the Drôme Provençale.